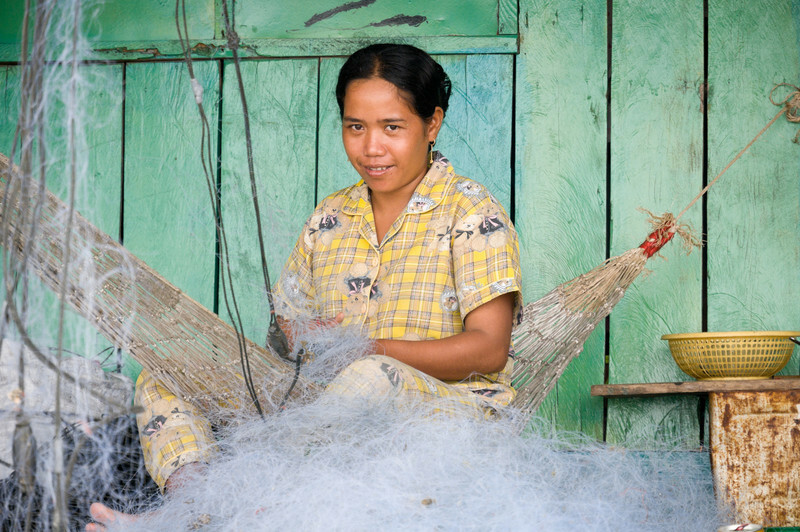 A Koh Roung village woman restrings Sihanoukville fishermen's nets on her front porch. The village was initially established in 1992 for crabbing, but the supply dried up and villagers had to look elsewhere for money. This is one of only a few job opportunities left in the village.